Everyone loves to see videos of silly pets! Some of us don’t have feathered pets – but they seem to provide their owners with hours of entertainment! 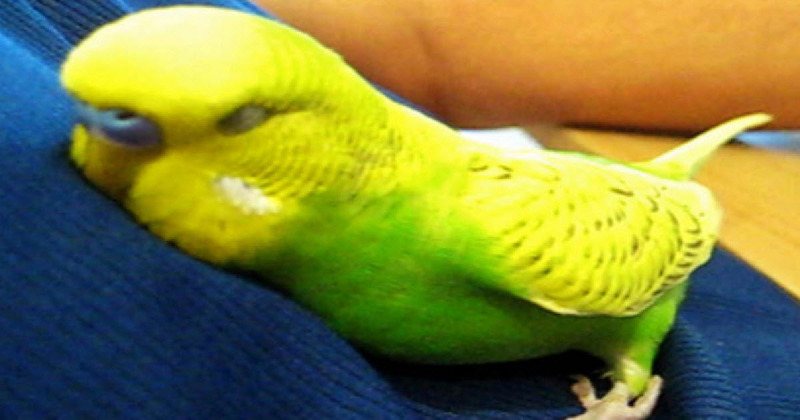 The adorable little budgie in the video is Pedro. Each night, Pedro has the same routine at bedtime. His owner is sitting at the computer when Pedro snuggles in. But before falling asleep, Pedro has a few things to say! Well, okay, the little bird is just bursting with thoughts and feelings about – well, stuff! Pedro seems to like to hear himself talk! You can see him start to get sleepy and he tucks his head under his wing. You can hear a little mumbling as sleep pulls him under. Reminds me of little kids who fight going to sleep!